This is a good smoothie for fat loss as well as to have before a training session. Another shake recipe here that does not need any whey protein powder. You get all your protein from the greek yogurt and the hemp seeds. I’m kind of liking these. And, I enjoy the fact that I’m not having a diary byproduct. Not that I am anti-whey. But, I’m definitely pro-greek yogurt due to the digestive enzymes it has. If you thought blueberries were a great food to nourish yourself with due to their high antioxidant properties, you were right. But, wild blueberries are even better than cultivated blueberries. I am not surprised. Mother nature always provides what is best for us, and we always find a way to mess with it thinking we know better. We don’t. 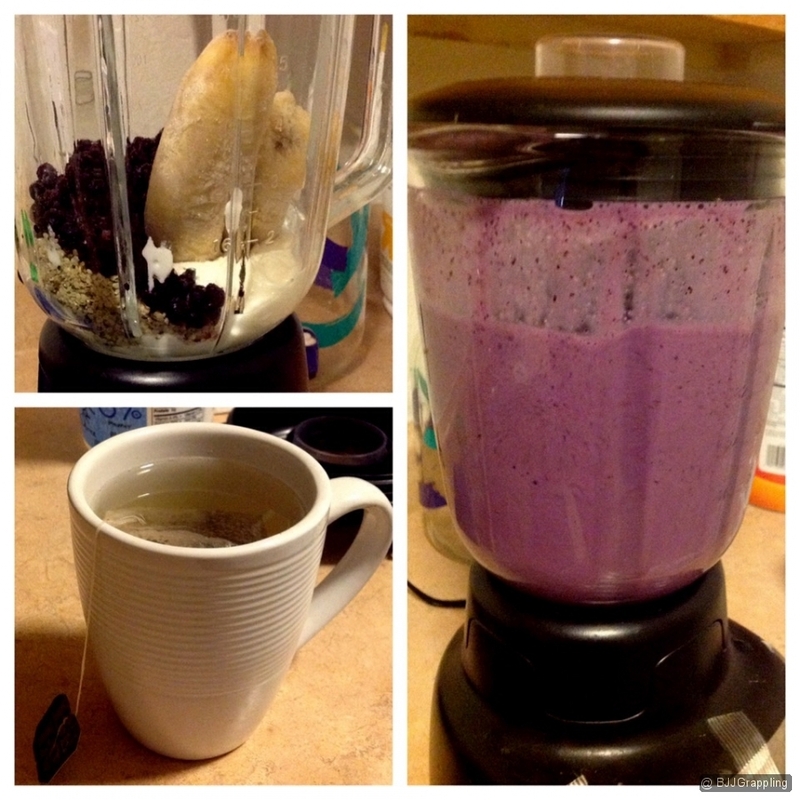 A twist in this recipe is the green tea. I took a risk and it worked out. It was pretty delicious and this is why I’m sharing it. No recipes here without my stamp of approval. The green tea coupled with the high fiber and high fat content of this smoothie make for a good release of caffeine into your system. So, if you are sensitive to caffeine you will not feel any type of jittery feelings. Then again, I don’t know anyone that is sensitive to caffeine any more. Use this before you train to give you a boost in energy as well as a boost in fat loss.